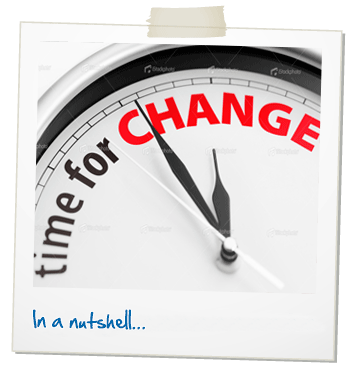 The health and social care system is undergoing transformation. Change can almost become an end in itself rather than a means to achieve specific goals that are understood and owned by everybody. People need to feel that they matter – whether they are people who need support, patients, informal carers or professional staff. Leaders have to create the conditions in which all groups feel valued and can work together with openness and candour. Nutshell Communications products and services help you get to the heart of what is important in communication and co-production. Instead of wrapping things up in jargon and complicated language, messages are honest, direct and simple, sourced from what real people are saying. In a nutshell, we help you re-engage with your people and work together with energy and creativity to develop realistic and lasting solutions. 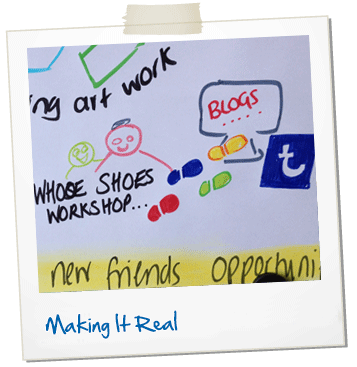 As the Whose Shoes?® network has grown, we have adopted a very personalised approach, putting customers in touch with each other, co-producing and sharing facilitation tips and ideas. Using social media as a powerful tool, we are experimenting together, 'working out loud', pushing the boundaries for positive change. Visit our Users page and Case Studies page to see how this works in practice. Our vision is that empathy and compassion – Walking in my shoes - will be embedded in the fabric of every care and support organisation and society at large. A list of Whose Shoes?® customers - the early days! Now lots of NHS hospitals and collaborations. The personalisation group to integrate social care, health and housing - Gill co-manages this lively LinkledIn group with close business associate, Philippa Codd. There are over 2000 members with a good mix of 'perspectives' - and it is very lively! 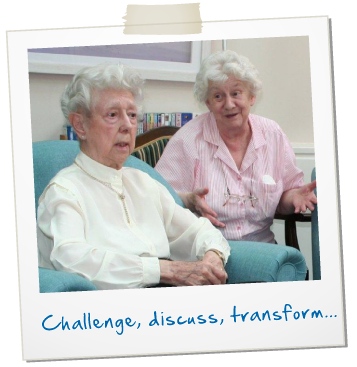 We aim to be a forum for change - not "just another talking shop". A lot of collaborative projects have been undertaken by group members. Why not apply to join? 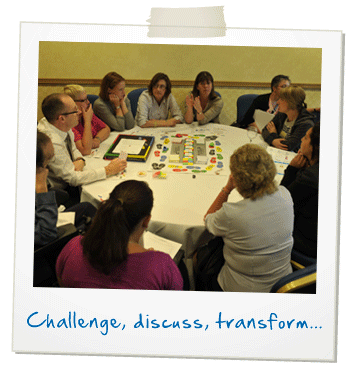 Whose Shoes?® is the best facilitation tool I have seen in over 30 years in social work”. A First Class Honours graduate and Prince 2 trained, Gill Phillips is a perceptive thinker, skilled at highlighting barriers and inconsistencies in policy and practice and devising innovative ways to engage and inspire people. She is an international speaker, giving lively, challenging talks and workshops and is a champion of involving ‘experts by experience’ and using innovative co-production approaches. Personalisation, people, passion. Pushing the boundaries. Everyone valued, everyone contributing. Having a life, rather than ‘a set of services’. Gill Phillips is the inspirational developer of Whose Shoes?® which is the most powerful and transformational way to explore what personalisation really means”. Whose Shoes?® like so many ideas that turn out to be successful, was born out of frustration. With 30 years experience in social care working in local government, Gill became passionate about the possibilities offered by the emerging personalisation agenda in health and social care and wider public sector transformation. Gill saw the challenges and barriers that lay ahead, integrating informal and formal resources, as appropriate; the need to understand the complexity of creating genuine personalised support which focuses on a person's whole life. She saw progress as a matter of "hearts and minds", engaging people through genuine co-production rather than top-down implementation. No-one had all the answers - but working together and LISTENING would be essential to bring about lasting change. Whose Shoes?® products followed and Gill is now recognised as a quirkly and influential change agent - honoured to be listed in both the HSJ Top 50 Inspirational women and HSJ Top 50 innovators. For the full Whose Shoes?® story, see the guest blog Gill wrote as part of the "Think Local, Act Personal" series. For Gill's personal story and what drives her work, take a look at her guest blog for her close business associate, Sarah Reed, creator of the fabulous “Many Happy Returns” reminiscence resources. Gill Phillips is a highly acclaimed contributor to several social media platforms, notably Twitter, LinkedIn, Steller and through her popular blog, sometimes featuring stories from her 94 year old mother @Gills_Mum ... who casts a very interesting eye on ageing and what matters in life. Gill co-manages (with close business associate, Philippa Codd) the Linkedin group: "The personalisation group to integrate social care, health and housing" - over 3000 members from across housing, health and social care sectors. 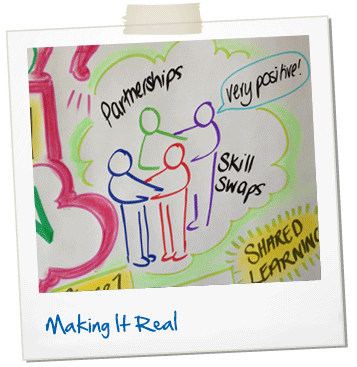 The group helps people collaborate and make a difference in health and social care... not "just another talking shop". Apply to join! Gill also writes the popular Whose Shoes?® blog and hosts many guest blogs, particularly around dementia care. The blog builds upon Nutshell’s powerful approach of promoting understanding and empathy by looking at issues from a wide range of perspectives. There are posts from people with dementia, family carers, clinicians, managers, providers, front-line staff, academics...and indeed Norman Lamb, former Minister of State for Care and Support. We invited Gill to demonstrate her fantastic Whose Shoes? tool to over 50 senior managers of social care provider organisations delivering across Glasgow. 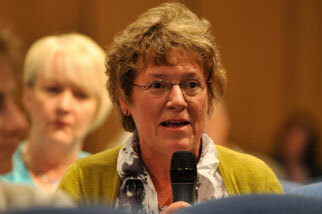 Her enthusiasm and passion for personalisation and self-directed support shone through. I would fully endorse Gill as an entrepreneurial change maker!" 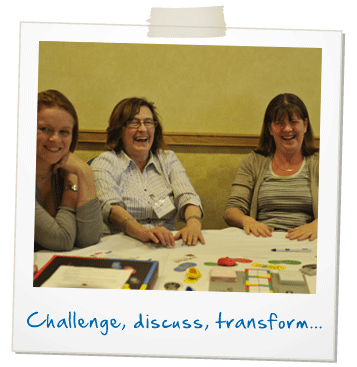 Gill is a very creative, person-centred worker and skilled facilitator. Her creative scene setting is worth participating in if you get the chance."